Cake and eat it too! 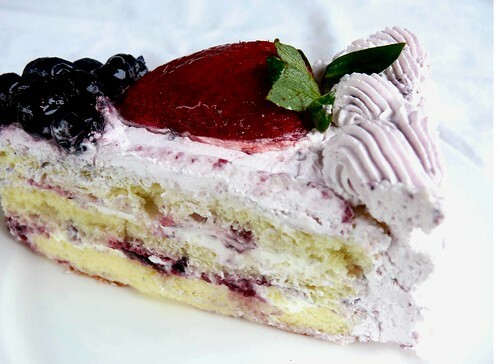 YOUR Favorie CAKE and how do you like to eat? Is there anything wrong with vanilla? Am I missing on the fun or pun here? Still what is wrong in being vanilla? The link you gave says simple, clean, bland...so? Are these not the good qualities of a woman? It is an oxymoron, But show me one cake or icecream which is "plain". Means NO FLAVOR. Its always vanilla when you ask for Plain (in cakes and icecream). black forest - eaten the regular way....in a plate. with a spoon. I love plain yellow cake layered with fruit jelly and topped with lightly sweetened whipping cream and fresh fruit. LTS .. Cake khaati ho yaa custard?? There has to be lots of cream and fruit...just love it that way. Later I buy batteries and use camera to shoot photo how I eat cake. Plain vanilla or strawberry for me too. I make it myself and finish it in 2 sittings. No frosting nothing, just plain. I too love whipped cream, but not on my cake.